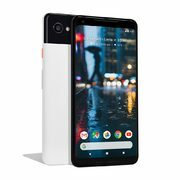 Google.com Google Store: $260.00 Off Pixel 2 XL Smartphones Take $260 Off Pixel 2 XL Smartphones! Resist the notch and get your next smartphone from the Google Store, because you can take $260.00 off the Pixel 2 XL! The Pixel 2 XL was originally released in October 2017 and served as Google's flagship Android smartphone until this past week with the release of the Pixel 3 and Pixel 3 XL. There are currently three configurations in stock at the discounted price and we've listed each of them below. The new lower prices for the Pixel 2 XL are permanent (technically, the offer expires on October 2, 2050) and the Google Store offers free shipping with all Pixel 2 XL configurations. Size wise, I would prefer the normal version but they haven't dropped the price and it's out of stock.